Make transportation of all types easier! Client care, comfort and convenience are the cornerstones of every trip we take. We look forward to providing your high school students with the tours they need to plan the future they’ve been working so hard for. Customer satisfaction is our key goal! As a Silicon Valley based transportation provider, San Jose Charters understands that you have many places to go – and we’d love to help take you there! 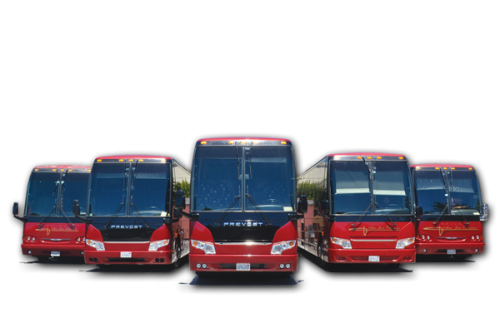 As a highly-renowned, family-owned charter bus business, we are proudly celebrating 15 years of delivering first class service throughout the Bay Area and beyond. Learn more about us and our mission of ‘clients first, safety always’. 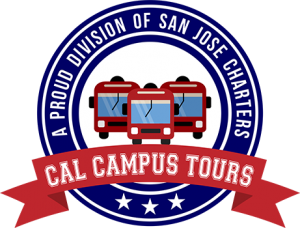 Schraders’ “A Tour Without Duty” has been arranging trips for private groups, clubs, schools, and retirement communities for over twenty years and we have found San Jose Charters to be one of the more competent companies with which to work. The front office phone service people, drivers, and owners have always had time to answer our questions, therefore leaving us with a feeling of trust and confidence in their company. Their exemplary performance record with us is beyond reproach. San Jose Charters is an outstanding bus company they are always able to accommodate us and go above in beyond in customer service. Their buses are very clean and comfortable for long distance travel. Their drivers are exceptional and friendly to all our athletes and coaches. I do recommend San Jose Charters to other business partners and it is truly quality service which I feel has escaped us in this day age. The service has been timely & excellent, the drivers are professional & helpful. I will be a customer for a LONG time! We have been in business for over 7 years now and San Jose Charters Bus Company has been the best and reliable business for us by far…We can count on them for reliability, customer service and providing us with courteous and dependable drivers..all of our customers are happy that for the past 2 years we have provided them with this great service provided by San Jose Charters…when a client asks me to recommend a bus line I always tell them San Jose Charters….